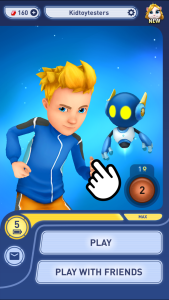 It’s 2124 in Neo Mars, Mars Pop from the makers of Talking Tom pits you against the best in the World!!! 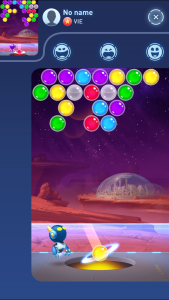 Mars Pop is a super addictive bubble pop game that offers simple Facebook login by Outfit7 Limited. 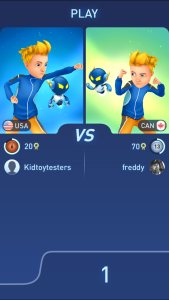 Outfit7 are the same guys behind the “Talking Tom and Friends” franchise with over 2.8billion downloads. Mars Pop is the worlds’ first bubble shooter game that offers true real-time, multiplayer competition. 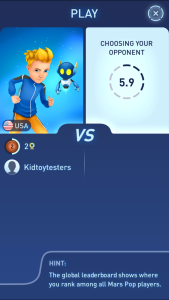 The game automatically connects users of similar skill level so you are always challenged just enough to keep it fun. If you are an expert, super pro, or just a beginner you are going to love this addictive game. You can compete against friends or anonymous gamers around the world.